We can easily become accustomed to violence and adjust our lives to strengthen our own protection and distance from it. With so many reports of violence each day we harden our hearts and accept that this is the world we live in. This denies the truth that Jesus died and rose again breaking the curse of sin and death. That he announced that his Kingdom of Shalom was here now. We need to repent from our hardened hearts and mourn the devastating violence that infects out world. We need to cry out to God with questions and brokenness to pray for His Kingdom of Shalom to break through. We need to intercede persistently and passionately for justice and an end of violence. Drawing from the encounter of Peter and the guard of the High Priest (Matt 26:52), where Jesus tells Peter to put his sword away and then proceeds to heal the guard whose ear Peter had cut off, we need to firmly desist from violence and resist all forms of violence. We need to recognise that in all our hearts we have held onto and even nourished prejudices and anger against others which erupts into various forms of violence, whether this be physical violence, social violence (e.g. exclusion, racism, exploitation) political violence (e.g. closing our border and hearts to those in need), economic violence (e.g. hoarding our wealth while others go hungry), emotional violence (e.g. gossip, slander) and religious violence. An urgent call for repentance is needed. Following Jesus means we will publicly and visibly stand with those who are being oppressed, marginalised and killed. 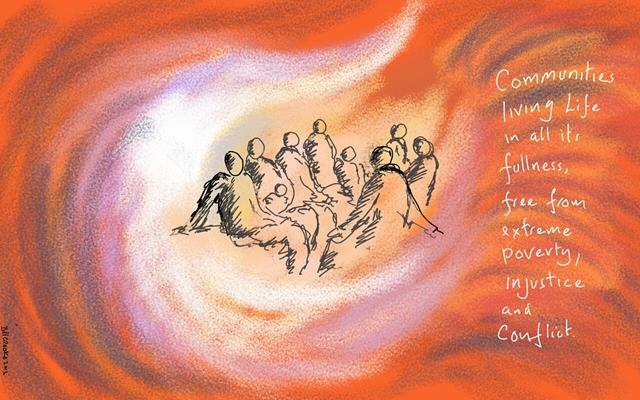 This solidarity may well have consequences which place our own comfort and welling being at risk, but it is a call for solidarity to stand against all forms of injustice and violence. Returning to the example of Peter in Matthew 26, he initially found the consequence too great and denied Jesus three times, weeping bitter tears when realising what he had done. We too need to cry bitter tears as we realise that our own silence also states loudly “we don’t know him”. Violence against anyone is never legitimate and it always begets more violence. The teaching on redemptive suffering is false as Jesus has suffered and died once and for all and through him we are saved. He is our pain and sin bearer. A practical example of where we can immediately live this out is to stand firmly against all forms of violence against women and girls. To acknowledge that all (men and women) are made equal in Christ and both are made in the image of God. There is no justification of any form of violence. For any one of us to be silent on the injustice of violence against women and girls is a travesty and like Peter, we deny Christ. (See Restored for ways to stand against violence against women). Demonstrating Shalom through how we live in community. This will require a committed intentionality, will be counter cultural and will impact lifestyle choices. It will require us to speak truth into situations of violence and injustice, denouncing all forms of violence. It will require us to recast the power relationships to ones of service / servant leadership. It is a call to be people of peace and Shalom bringers. Lord, hear our cry and gift us with your Spirit to enable us to live this out with you being our example, the Sovereign Slain Lamb. The global average rate of homicides is 6.2 / 100,000 population. The region with the highest homicide rate is the Americas where is sores to 16.2 / 100,000. El Salvador is predicted to have the rate of 92 / 100,000 this year. That equates to a murder every hour. 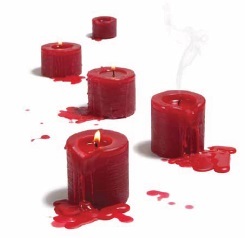 Lord, the blood of all these lost lives cries out to you from the ground. We confess we have become numbed from the news and perplexed on how to respond. We pray for the wisdom to know what to do and for your heart of justice and love to inform us on how to act. El Salvador’s civil war ended in 1992 with an estimated 76,000 lives lost and a further 12,000 disappearances after 12 long years of fighting. Escalating gang violence led to a 15 month truce in 2012 between rival gangs and the police, but since this truce broke down the homicide rate has exponentially risen each year. In 2015, this has reached new highs as a new government initiative to violently crack down on the gangs has exacerbated the situation. A recent law passed states that no police officer will be prosecuted or even investigated if a shooting is done in “self-defence”. The Mayor of San Salvador, Sr Ruan, states that dialogue is the only way out and calls for a new politics to be built. He is calling for peace and others who seek to be peacemakers are now themselves been targeted and placed under government investigation. Rival gangs have over 50,000 members with sign ups as young as 12 years old. 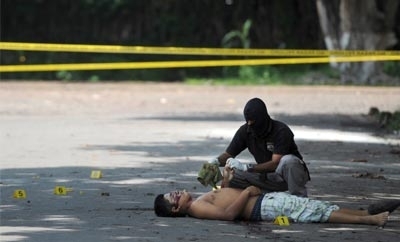 Lord, you know the underlying causes to this perpetual cycle of violence in El Salvador. Please bring this to light – let truth be made known to all. We pray for the peacemakers who are making a stand – inspire them, fill them with courage and perseverance and show us how to support their initiatives for nonviolence and dialogue, for a new politics. Lord, in your mercy, we pray for you outpouring of your Spirit into this country which is bleeding to death before our eyes. Launched in December 2012, the Black Monday Campaign is a Ugandan social movement against theft of public funds. In February 2016 Ugandans will go to the polls for their national elections and already over 40% of Ugandans have been approached with offers of money or gifts to buy their votes. (See Black Monday’s latest newsletter for details). 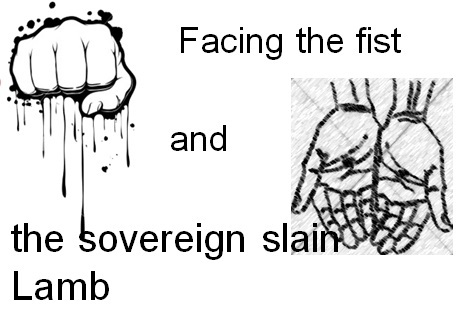 Socio-political violence and corruption to grab onto or hold onto power is an ongoing crisis in many parts of the world. 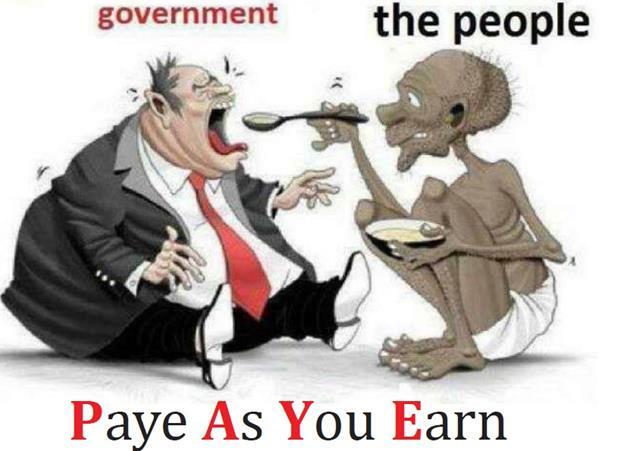 Those in power steal public funds to prop up their power hold and to feed their insatiable appetites for wealth and status. Lord, we know you detest fraud, theft and injustice. The violence against the poor through the funnelling of funds away from them to feed the rich is disgusting. The oppression and exploitation of the poor where they are then made to pay for the extravagancies of the rich is a further insult to justice. We pray for the positive impact of movements such as Black Monday and for the voice of the church to speak out against injustice in Uganda. We pray in particular for the up and coming elections in Uganda, Lord, may these be free of corruption – may each Uganda say enough is enough to bribes and lies. Lord, in your mercy and for your names sake we ask you to intervene. In North America reports indicate that an African-American person is killed every 28 hours by either by police officers, security guards or vigilantes. Where does this hatred and racism come from? The history of North America is one built on segregation and bias, of oppression of indigenous groups, slavery and discrimination. As such healing requires truth and justice, repentance and change. Theological Understanding: how do we understand different ethnic groups? Acts 17:26 says “From one man He made every nation of men, that they should inhabit the whole earth...” We can deduce that it was always God’s plan to have different ethnic groups. God loves our diversity – he created each tribe and tongue. Acts 10:34ff states: “Then Peter began to speak: ‘I now realise how true it is that God does not show favouritism but accepts men from every nation who fear him and do what is right.’” In each group God has placed his image, gifts and skills, insights and perceptions and only as we interact together do these come to their fullness (Philippians 2). In Revelations 21:24-27 we read that God has put his glory into the nations and we all gather before his Throne so the new Kingdom is revealed. Lord, we thank you for the amazing diversity of ethnic groups, of languages, of gifts and skills. We recognise your image in all people and ask you to reveal in our hearts any prejudices that would in any way dehumanise or diminish another group. We confess our failings and ask that we may become a united and diverse church that reflects your Kingdom. Help us to break down prejudices and root out bias and any form of superiority or inferiority. We pray especially for North America as they need to deal with their own prejudices, historic wrongs and current discriminations. May you church speak out and lead this journey of healing and justice. 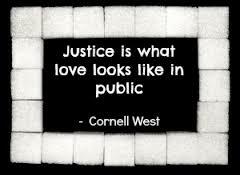 Justice is what love looks like in public (Cornel West). 349 participants from 63 nations met in Lima in September at our 6th Global Consultation. Thank you to everyone who attending who enabled others to attend and who contribute. Integral Mission and Shalom: justice, peace and joy. This marked the start of an ongoing consultation which we will continue to engage in. Thank you Lord for your presence and for your challenge to become a people of peace. Micah Sunday: 18th October 2015: please set this day aside to pray for our united effort to reduce poverty. Access resources to enable your church to be involved. New Board Members Nominations: we encourage all Micah members to send in the Board member nominations as per our recent mailing. Please pray for this process and that the nominations committee will select the people whom God has called to this role.